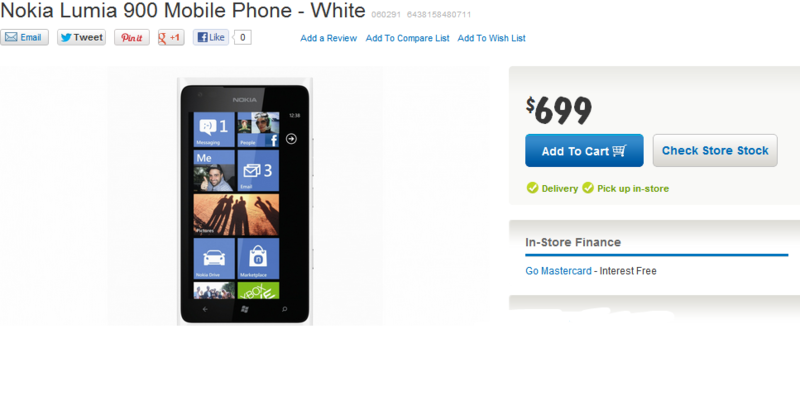 Just a quick notice that the Nokia Lumia 900 is currently available in stock at Harvey Norman in Australia. The device is in stock in black, white, and cyan colors for the price of $AUD 699.00. WPDownUnder confirmed the initial reports physically at local Harvey Norman retail stores. 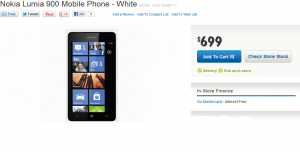 If you are in Australia still looking for a Lumia 900 and this news caught your attention, be sure to visit the product page to order online or check store stock.